Representing manufacturing client in defending patent infringement suit related to spot welding machinery used primarily in auto manufacturing plants. Represented large financial institution in defending patent infringement suit related to cash advance financial product, and successfully invalidated the asserted patent in a Covered Business Method Review proceeding at the U.S. Patent & Trademark Office. Represented financial services client in enforcing patents related to payment systems against multiple defendants to reach favorable settlement. Represented manufacturer of GPS devices defending patent litigation suit related to providing GPS-based route guidance. Plaintiff stipulated to non-infringement following favorable claim construction ruling. Represented large electronics manufacturer in defending patent infringement investigation at the International Trade Commission related to computer vision systems. Patent owner voluntarily dismissed suit following favorable claim construction ruling. Represented patent owner in enforcing patent related to computer backup and restore systems against multiple defendants to reach favorable settlement. Represented patent owner in enforcing patent related to search engine architecture against multiple defendants to reach favorable settlement. Represented manufacturing client in defending against patent infringement investigation at the International Trade Commission related to accumulation tables used in manufacturing facilities. Client reached favorable settlement with patent owner. Ryan practices in the firm's Intellectual Property group where he focuses solely in patent litigation, patent prosecution, and trademark matters. He represents large public companies and small startups in obtaining patent protection from the U.S. Patent & Trademark Office, defending patent infringement cases, and enforcing patent rights. 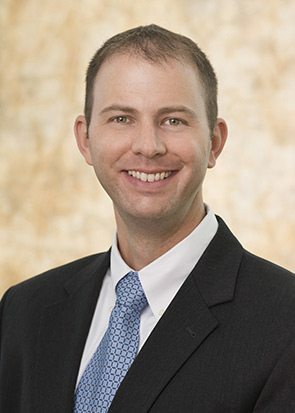 Ryan has represented clients in both patent litigation and patent prosecution matters across a variety of technologies such as: wireless communications, semiconductor devices, signal processing, design of digital and analog circuits, imaging and networking. He has represented clients in patent litigation in various federal district courts, the International Trade Commission, the U.S. Court of Appeals for the Federal Circuit, and in post-grant proceedings before the Patent Trial & Appeal Board. While in law school, Ryan was awarded Best Note by the Florida Journal of International Law and a Book Award for Evidence. He was also a member of the Saul Lefkowitz Trademark Moot Court Team. InsideCounsel: USPTO Issues Patent Eligibility Guidelines So Now What?